It’s Christmas time at Fitzpatrick Referrals. 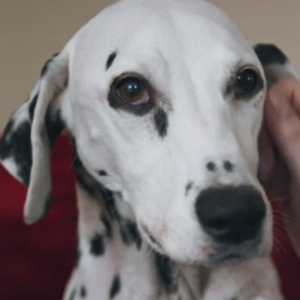 Tatiana, a one-year-old crossbreed puppy is brought to see if The Supervet, Professor Noel Fitzpatrick can do anything to correct her severely deformed front legs. Tatiana was rescued by a charity from Romania, and Angie and her husband Phil have given her a home, together with their other eight dogs. Tatiana was born with dislocated elbows and her front legs are splayed out to the sides so all she can do is shuffle along in pain. Angie arrives with two members of the rescue charity to help her decide whether or not to go for surgery. Noel warns them that the operation will be complicated and whether they choose surgery or not, Tatiana will never be able to walk normally again. For Angie there is no question; she wants Noel to do what he can. The operation proves a challenge as Tatiana’s muscles and ligaments haven’t developed properly and the bones in both front legs are dramatically deformed, very thin and weak. Noel applies a unique scaffolding of pins and clamps called an external skeletal fixator to Tatiana’s legs to help them heal, but only time will tell if she will respond to such major surgery in time to enjoy the special festive treat Angie has in store; Christmas stockings for all eight of the family's dogs! Tatiana is originally from Romania but was rescued when she was four months old and brought over to the UK by a rescue charity. 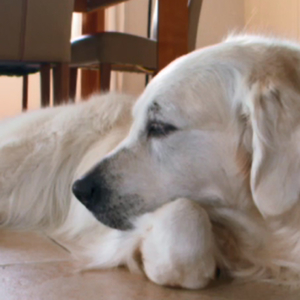 She lives with her adopted parents Phil and Ange, and their eight other dogs in Nottingham. 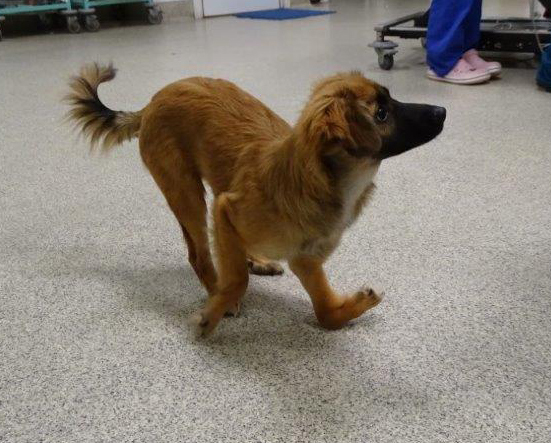 Tatiana was born with deformities in both of her front legs that cause her to walk on her elbows. Whilst she knew no different, Phil and Ange were eager to explore what could be done to allow her to live a full life like any normal dog. The deformities meant she couldn’t keep up with her brothers and sisters, and would likely spend her life restricted. 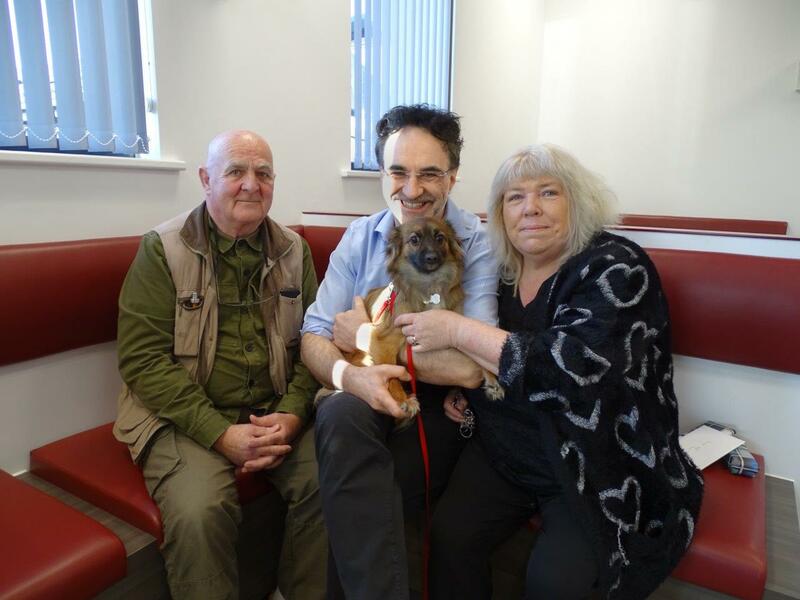 Along with Donna and Paul from the rescue charity, Phil and Ange paid a visit to Professor Noel Fitzpatrick, to see if he could find a solution to help Tatiana walk properly. After an examination, Noel suspected that she was suffering from congenital luxation of both elbows – meaning the humerus, ulna and radius bones are not in the correct alignment and never had been. Noel explained that there was the option that Tatiana could live a happy life with the condition and that corrective surgery would be a massive undertaking. There was a chance that with surgery the vessels and nerves would not recover. After careful thought, Angie and Phil decided to go ahead with the surgery, with the hope that they could give her the best chance at a fully functional and normal life. To align Tatiana’s deformed legs, Noel had to cut the ligaments and tendons around the elbows and rotate the radius and ulna bones by more than 90 degrees. He then proceeded to drill out elbow cartilage and pack the joint with bone graft and fuse it solid using pins and an external frame. It was a long and complex surgery, but Noel and the team were happy with the postoperative imaging. Following a week of recovery at Fitzpatricks, she was able to go home to continue her recovery and physiotherapy. Noel warned Phil and Angie that she may also need her wrists fusing. As she was still a young dog, Noel advised to wait for to continue growing and reassess the situation in a few weeks’ time. Six weeks after the surgery Tatiana was standing straight and walking tall for the first time in her life. Further x-ray images showed that her elbows had sufficiently fused and Noel was comfortable with removing her frames. Noel ultimately operated on Tatiana’s wrist and fused it so the loose ligaments wouldn’t hinder her. Back in Nottingham, Tatiana now lives a full and happy life with her brothers and sisters. 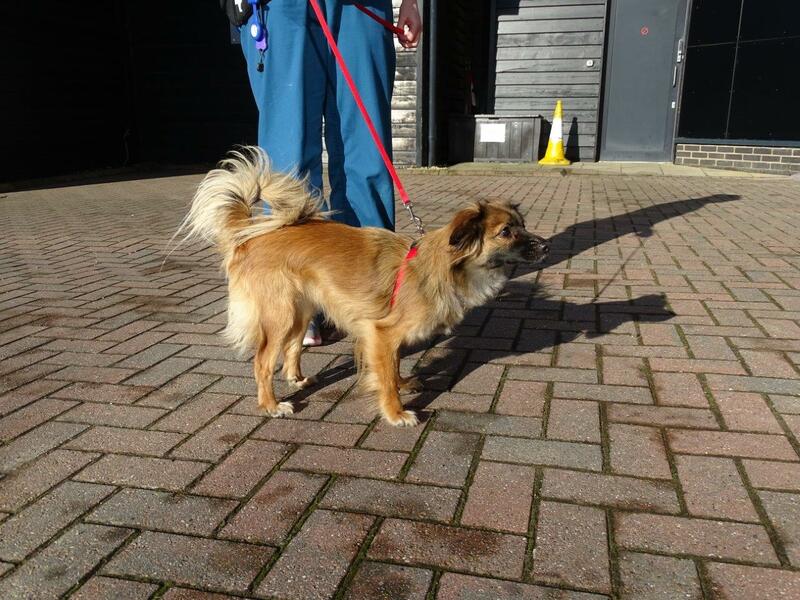 A good regime of physio and swimming helped to strengthen her front legs and get her up and about again. It was a long journey from Romania to recovery but Angie and Phil were thrilled to see their youngest addition bouncing around and care free.